Infographics for PowerPoint has items for virtually any occasion, from charts and diagrams to editable city, state, country, and region maps, accompanied by a broad selection of national flags and symbols, it has never been easier to explain business results, intricacies of an industry, or focus on a national specifics of any country! To make things even easier – we have included a number of professionally designed slideshow presentation templates to kickstart your work! Next story PDFelement Pro 6.7.12 – Create, edit, convert, sign, and perform OCR on PDF files. Previous story Macgo Blu-ray Player Pro 3.3.9 – Blu-ray player with extended format support. 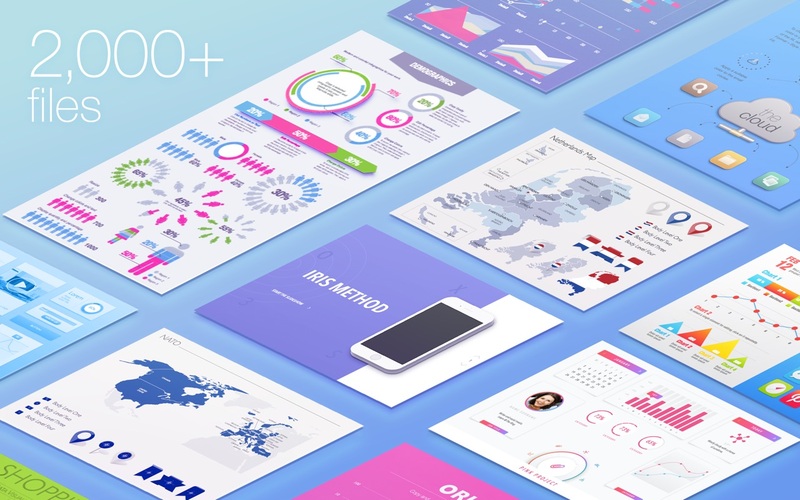 Poster Mill 1.4 – Collection of 220 original templates. Inspiration Set for Pages 3.6 – Unique page-template designs for Apple Pages.